salt (just in case), a map, a 4×5 Cambo film camera and a Nikon digital camera. I had a couple places in mind that I definitely wanted to visit, and everything else would happen spontaneously. I must admit, driving through the vast snowy mountains of West Virginia was one of the most beautiful experiences I have ever had. Pure white snow covered everything in sight. I visited Babcock, Little Beaver, and Hawks Nest State Parks where I calmly took in the scenery, as it was really an incredible atmosphere, and a great change from my everyday surroundings. 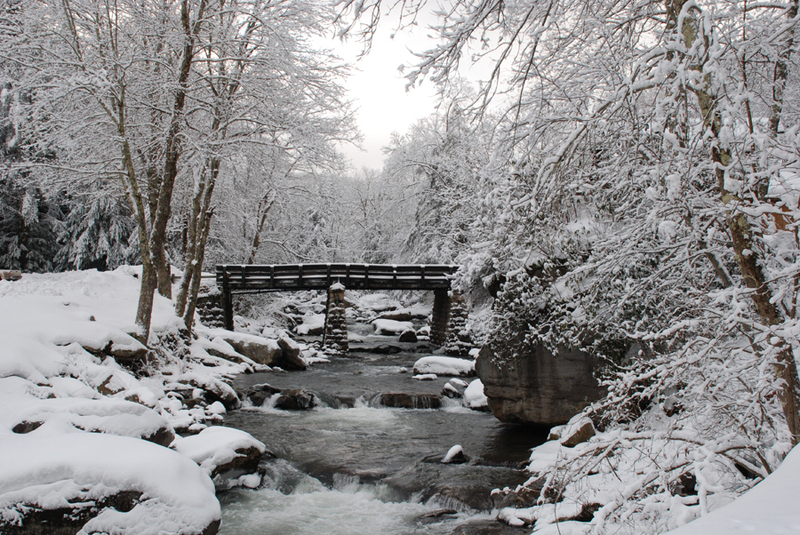 The calm and quiet setting of West Virginia in the winter was an excellent choice for a short vacation. I hope to return later in the year, when I can access some areas that were off limits due to the amount of snow on the ground. 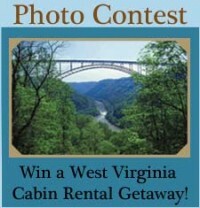 This entry was posted in New River Gorge, West Virginia Cabins, West Virginia Vacation, WV Vacation Photo Contest and tagged Babcock State Park, country road cabins, west virginia vacation. Bookmark the permalink.